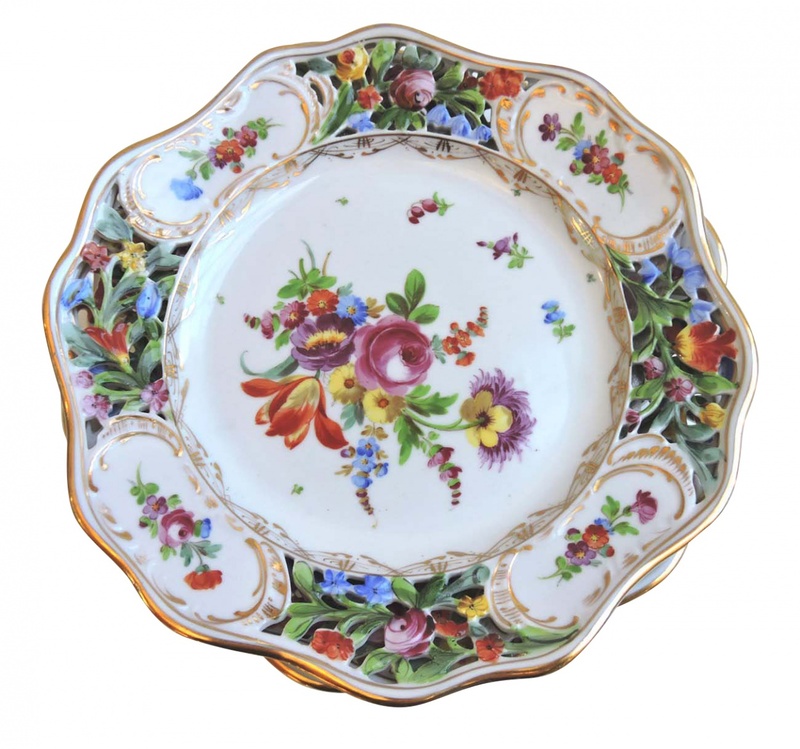 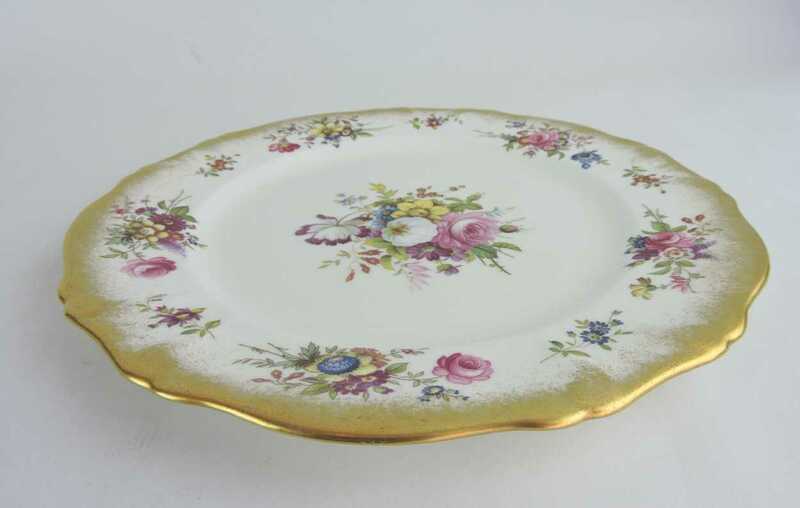 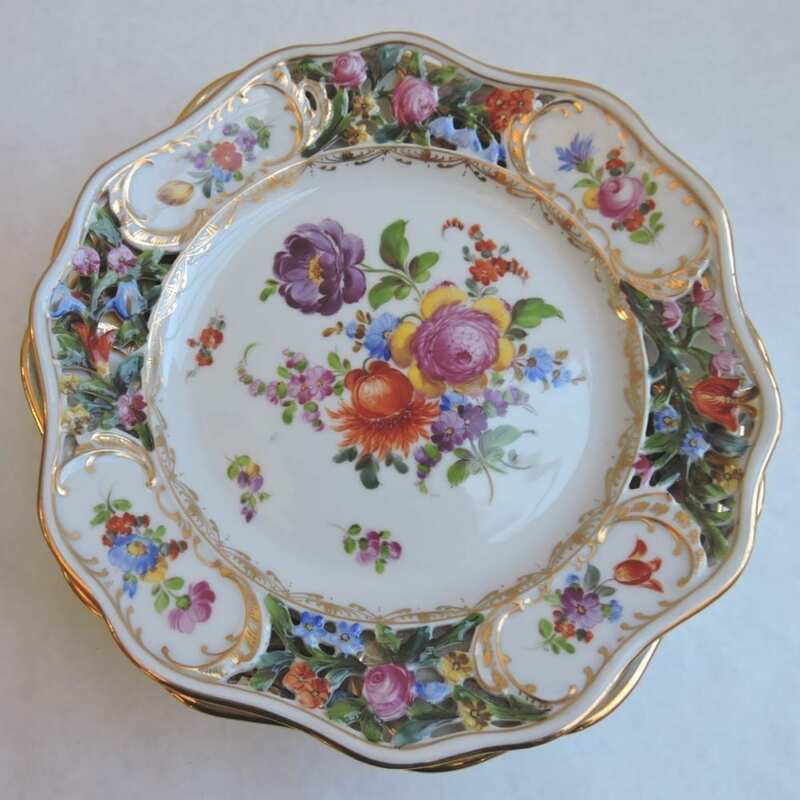 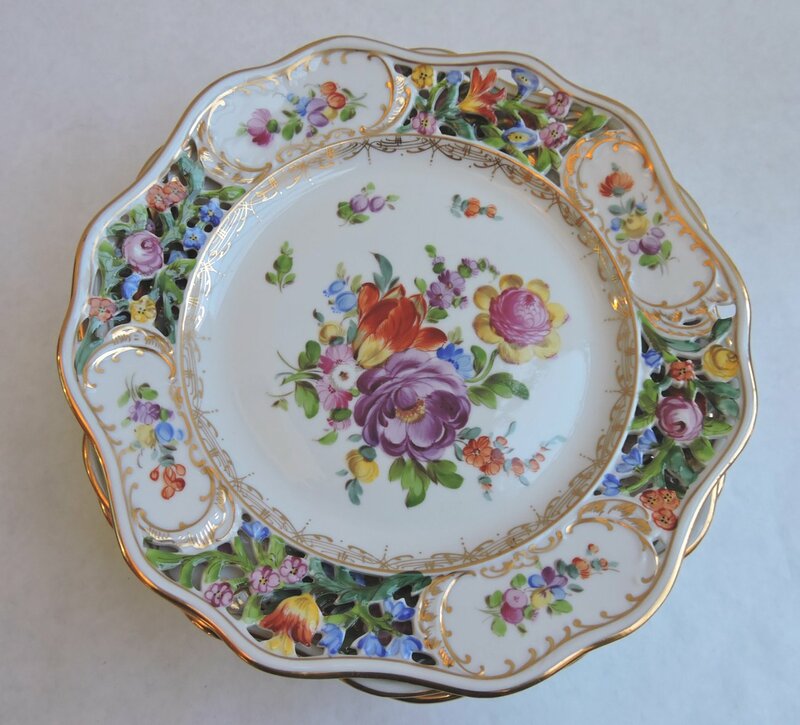 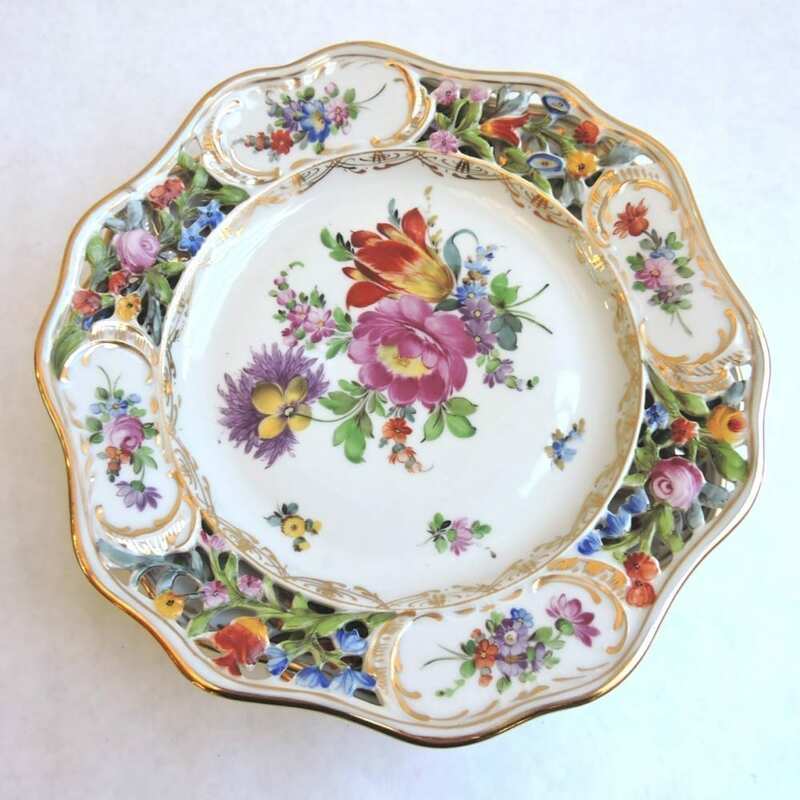 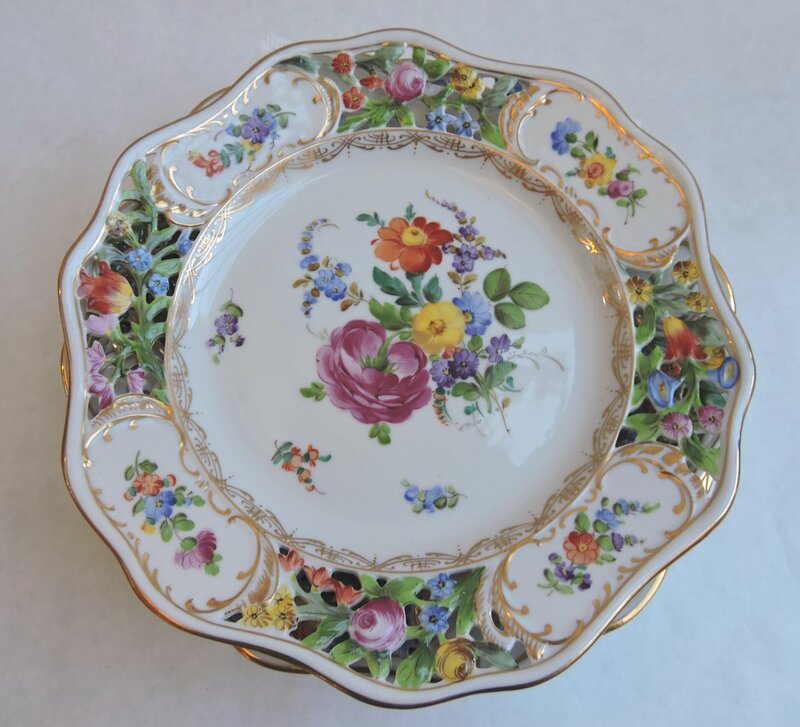 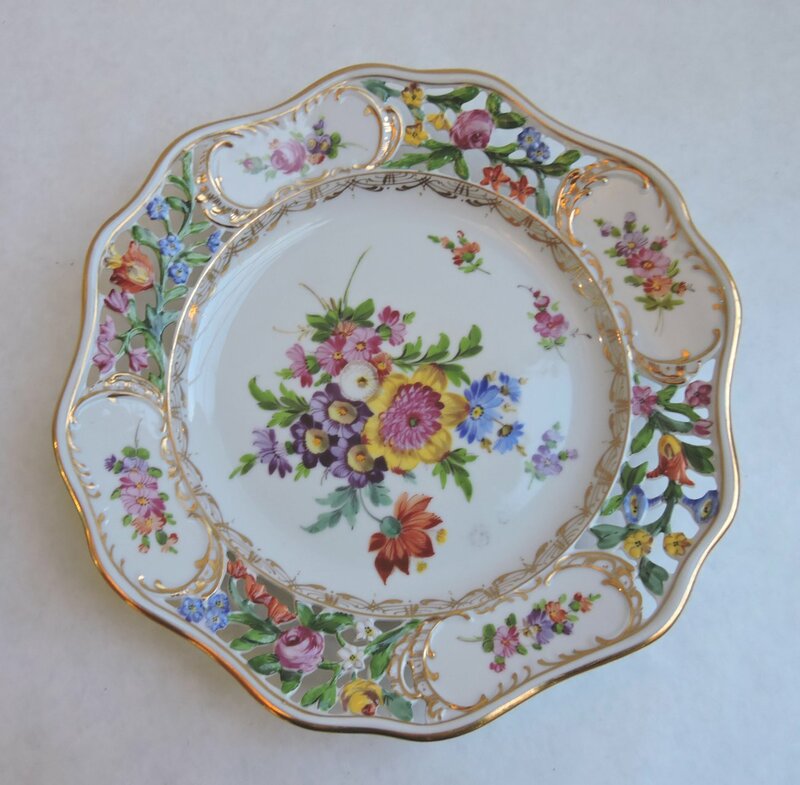 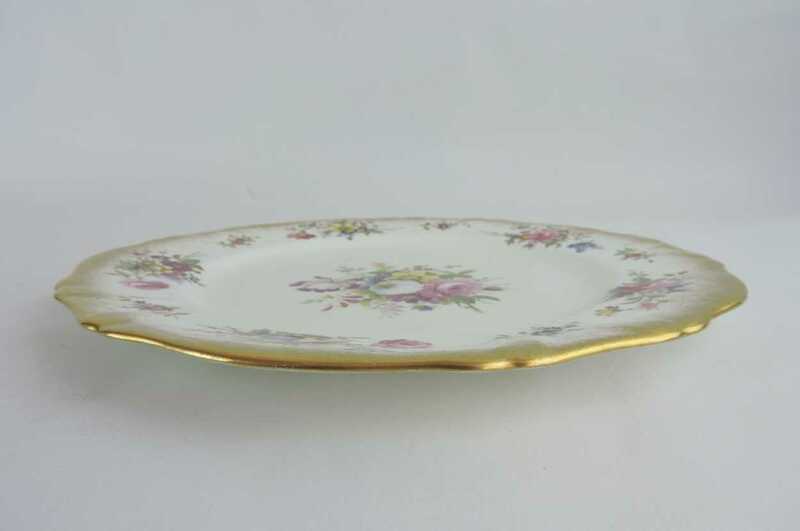 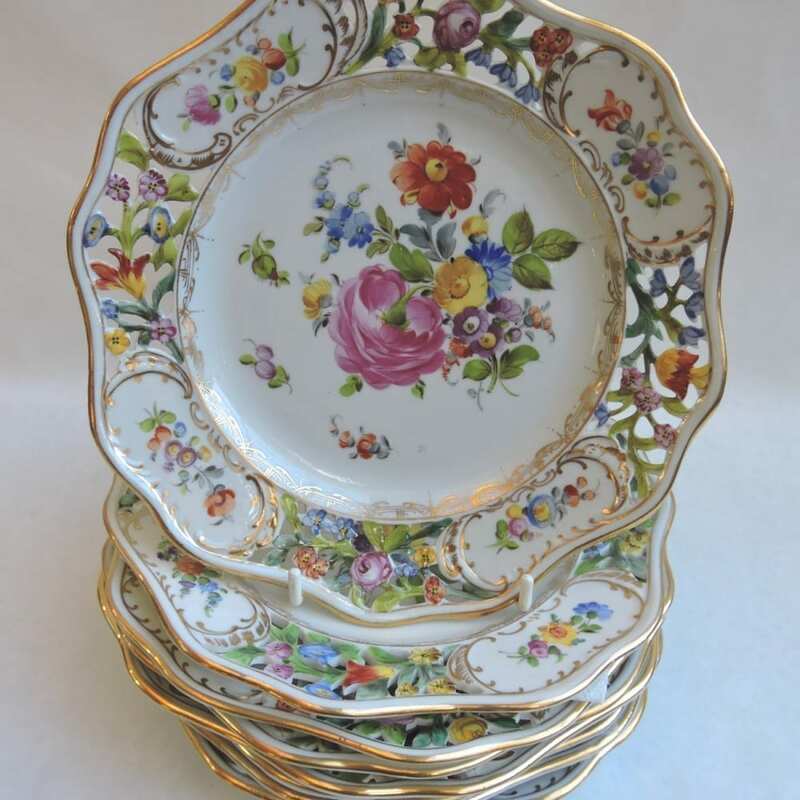 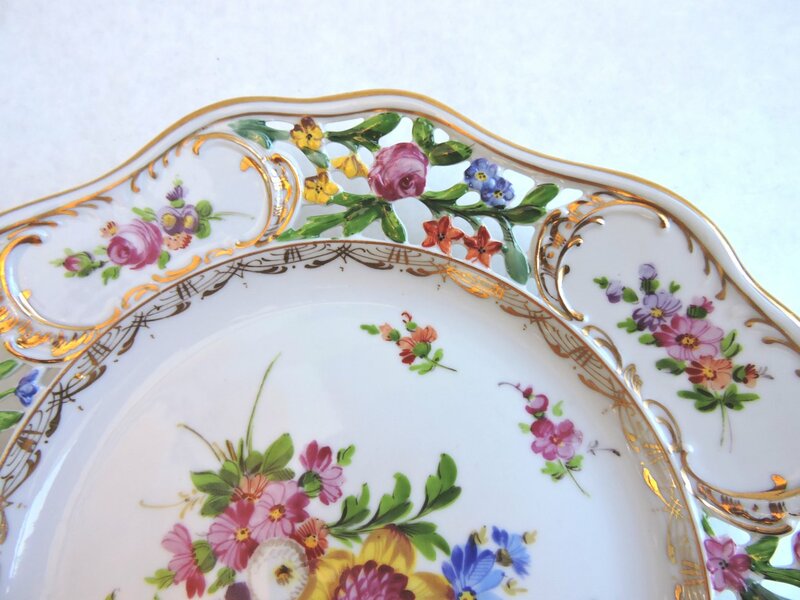 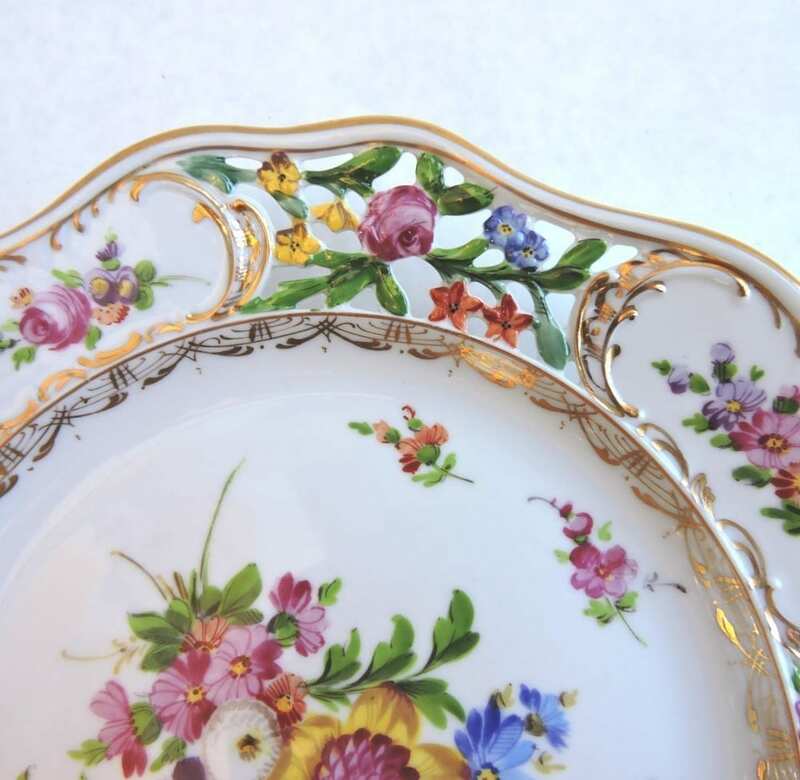 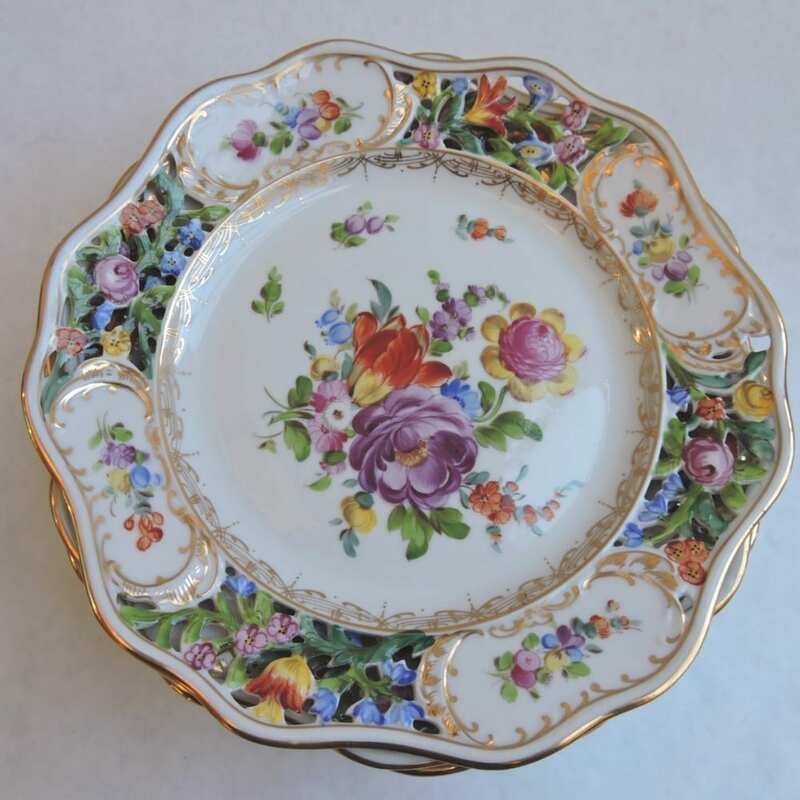 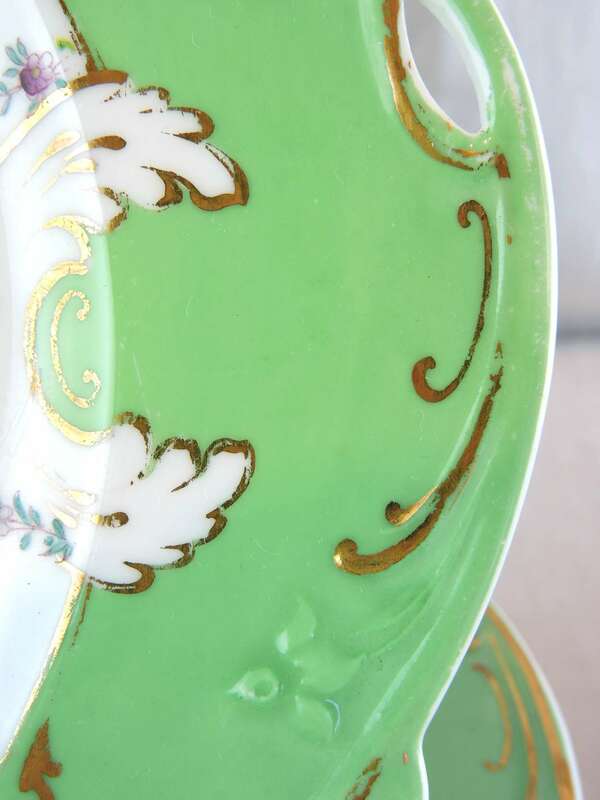 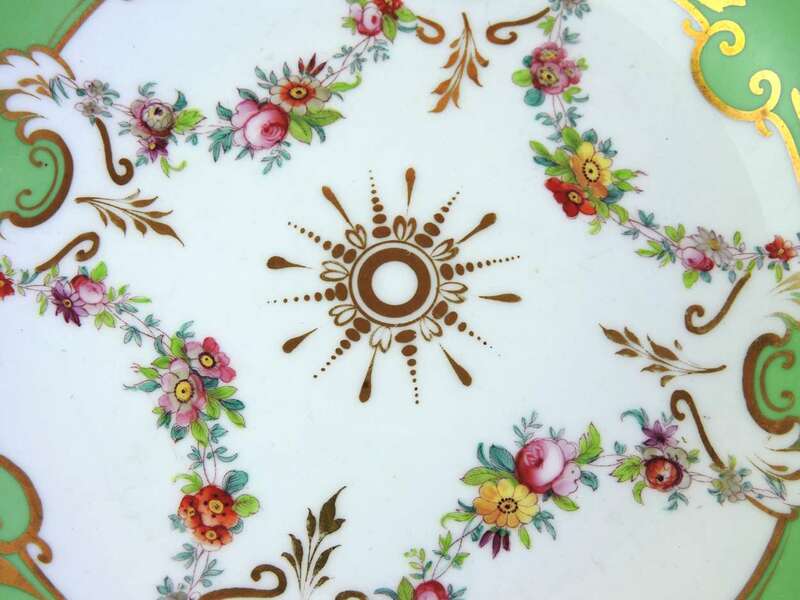 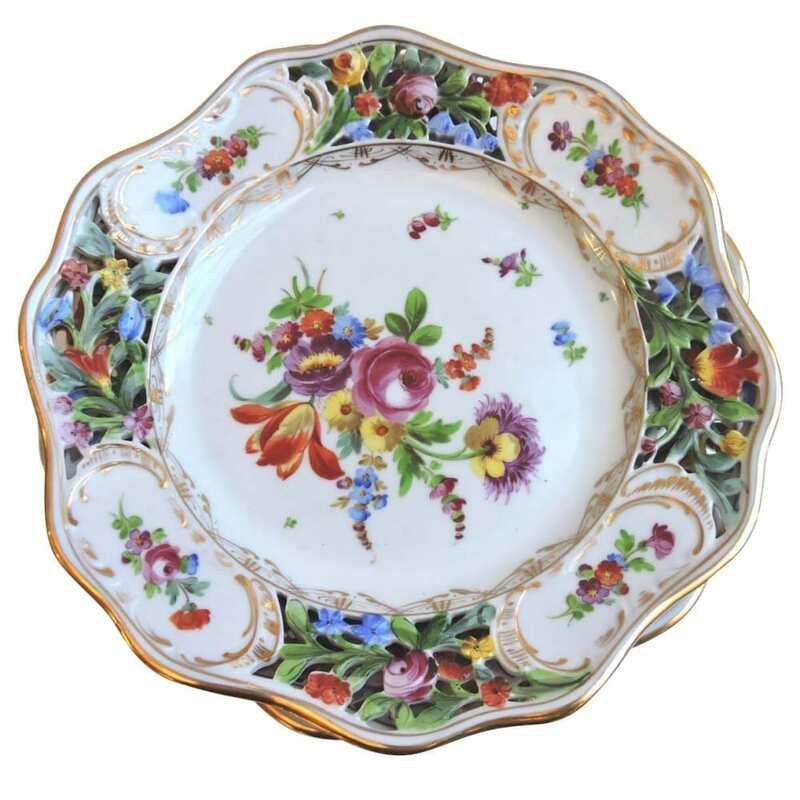 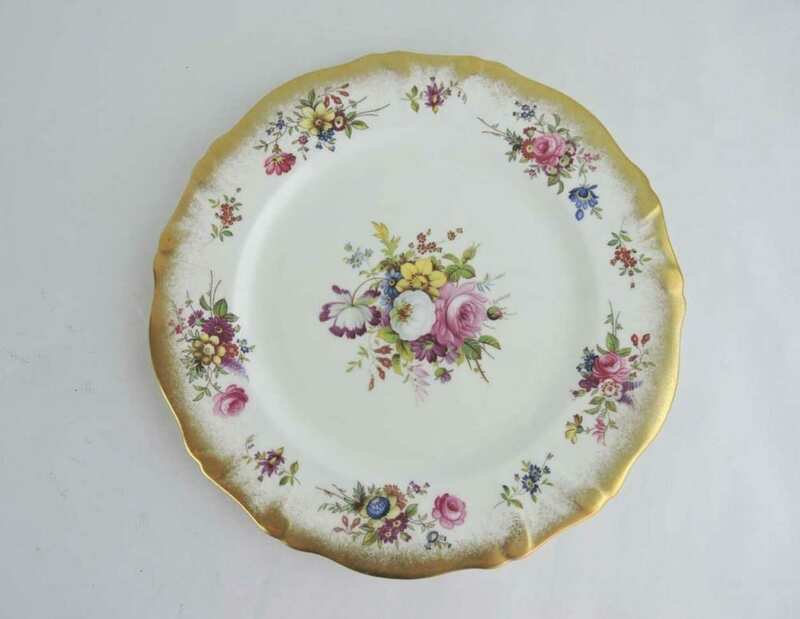 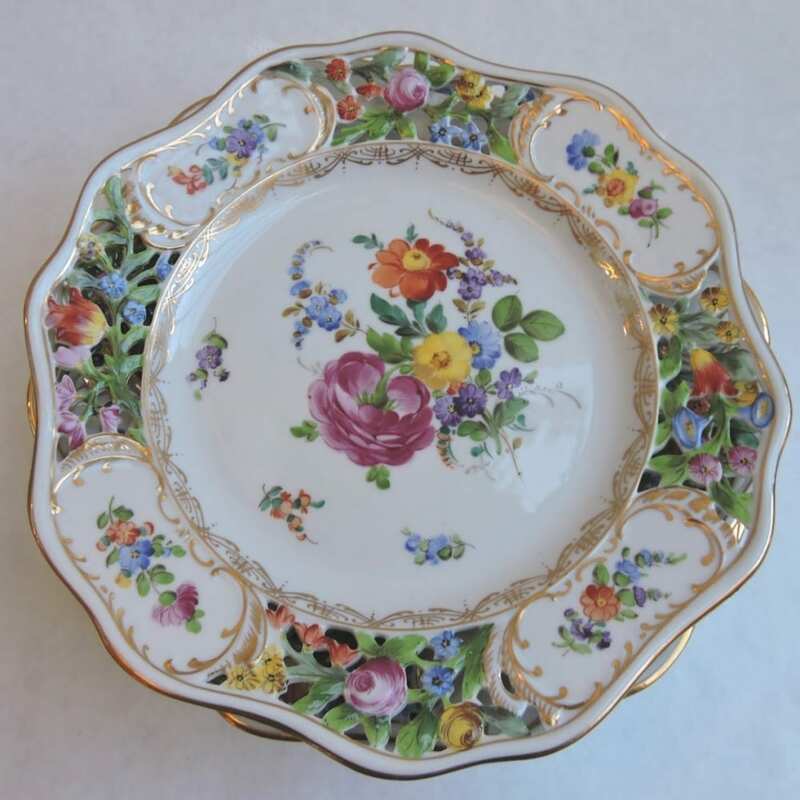 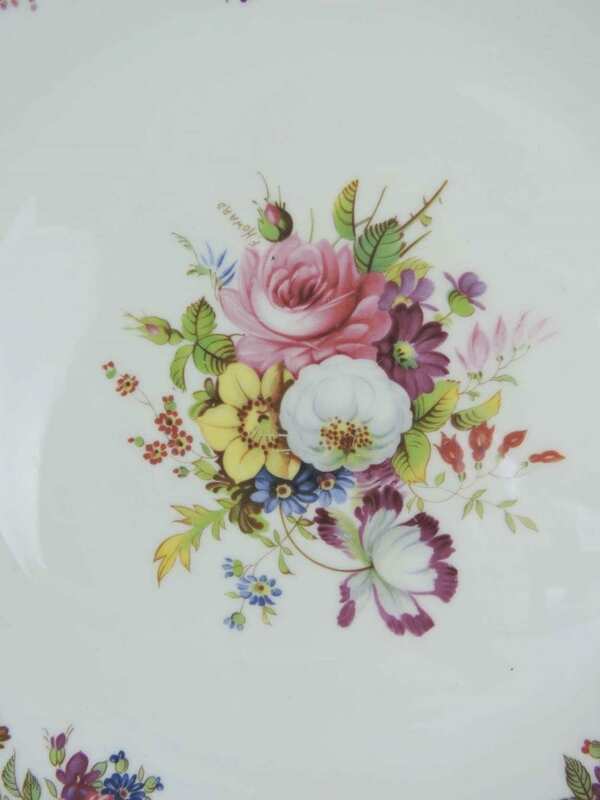 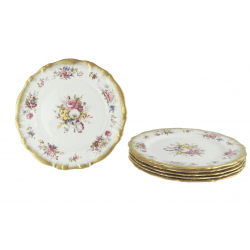 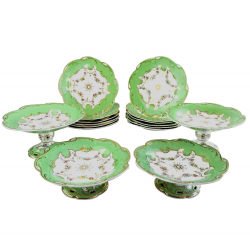 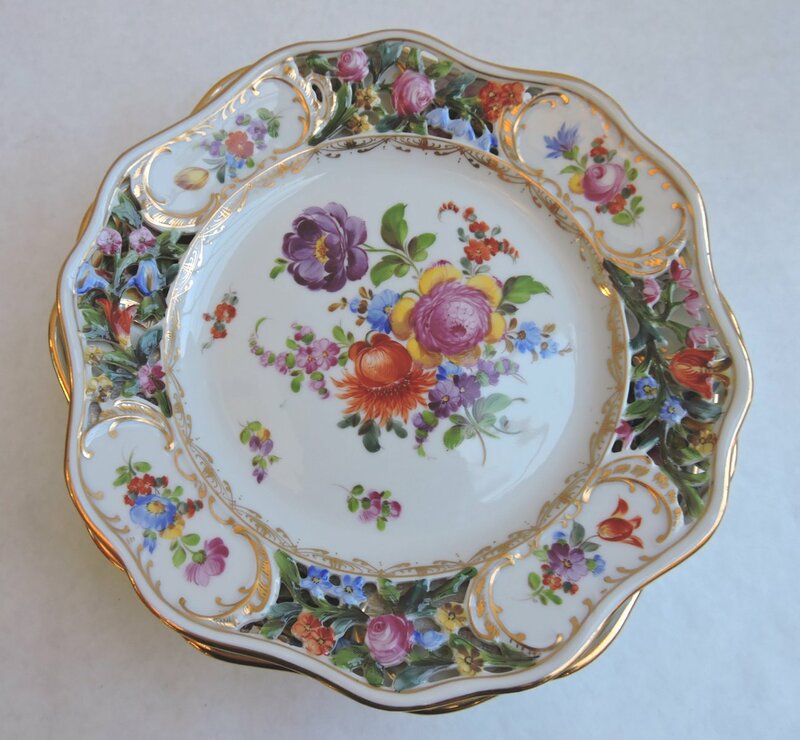 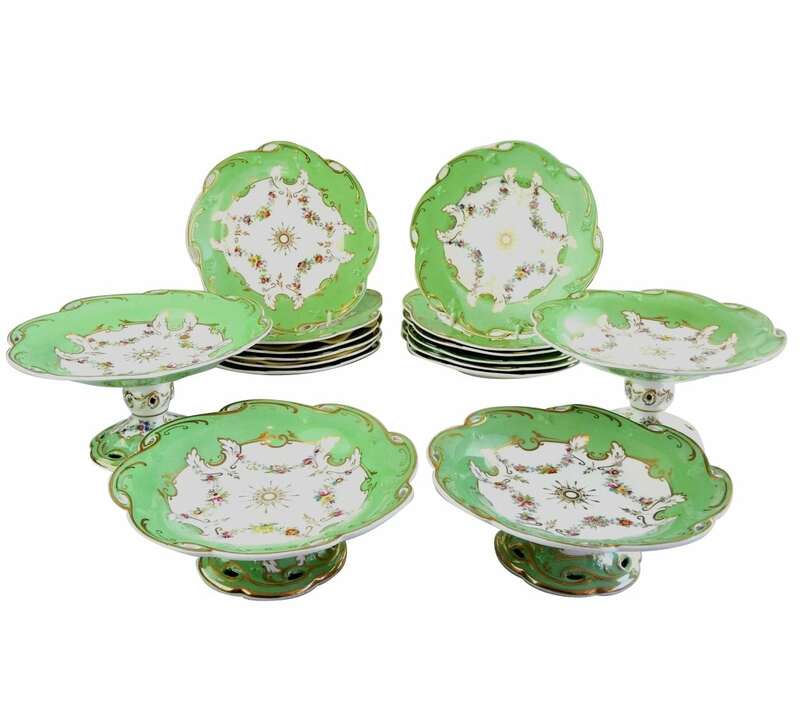 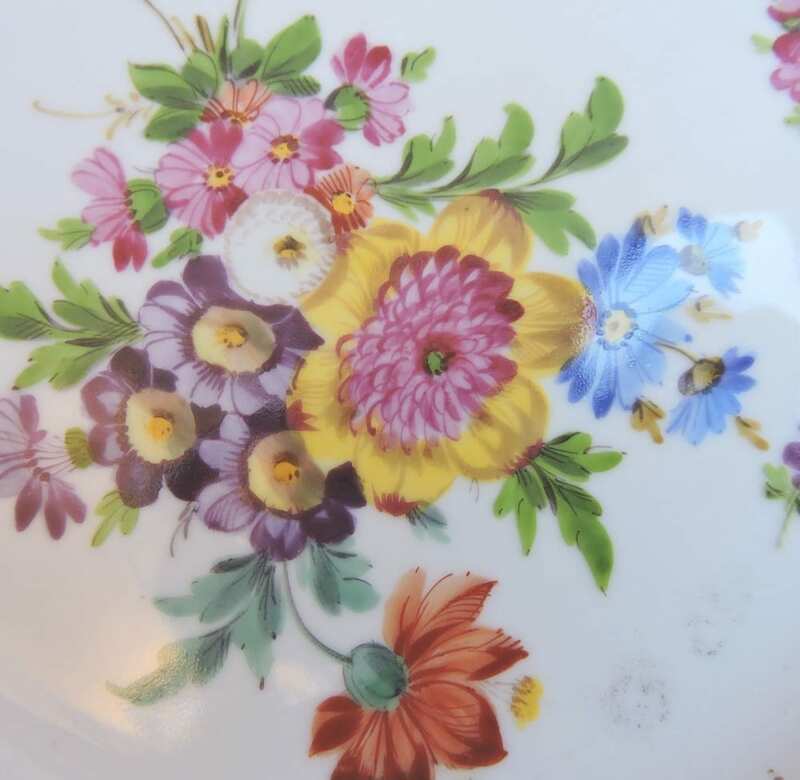 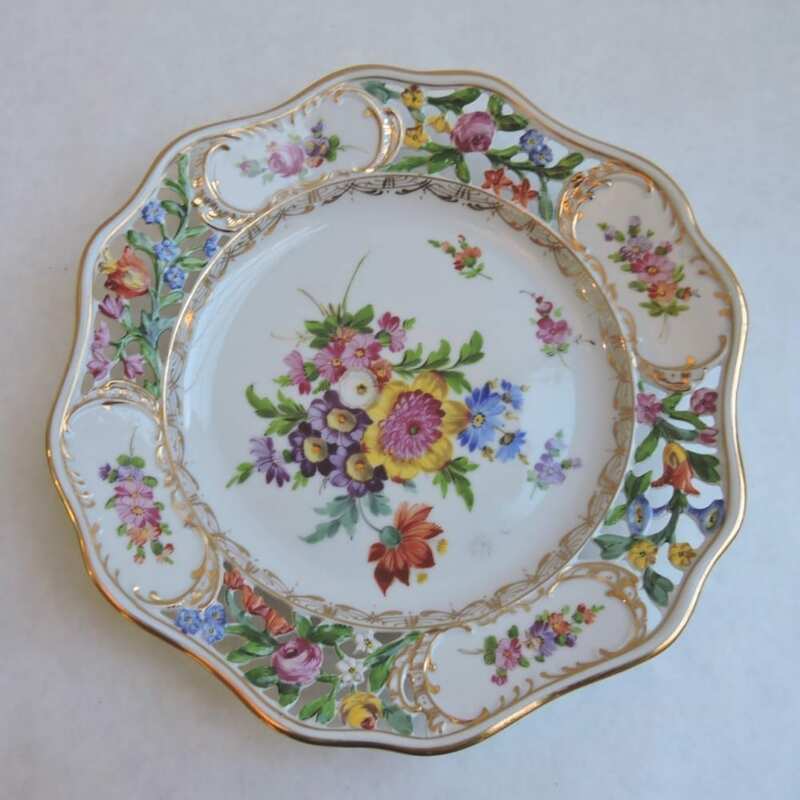 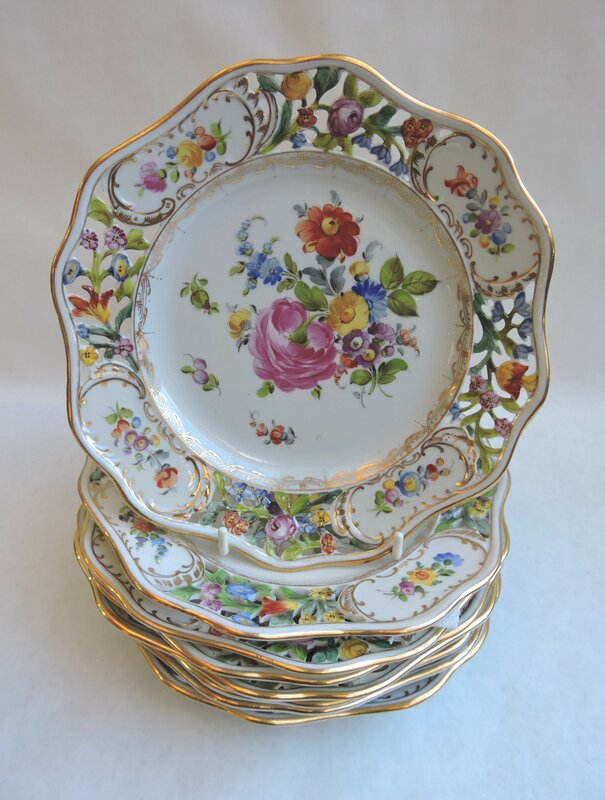 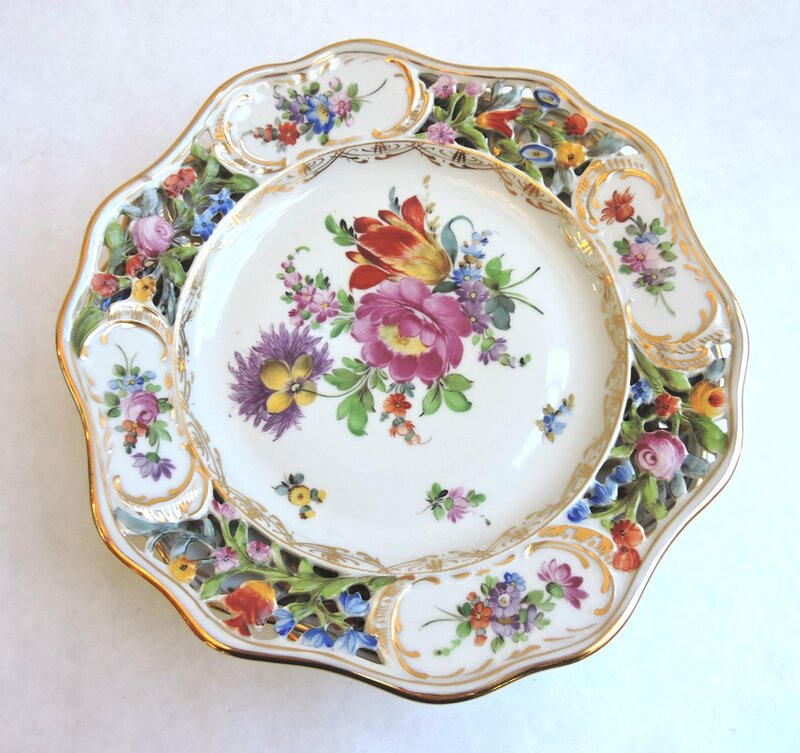 Beautiful hand painted Dresden salad/dessert plates with floral centres and floral borders. 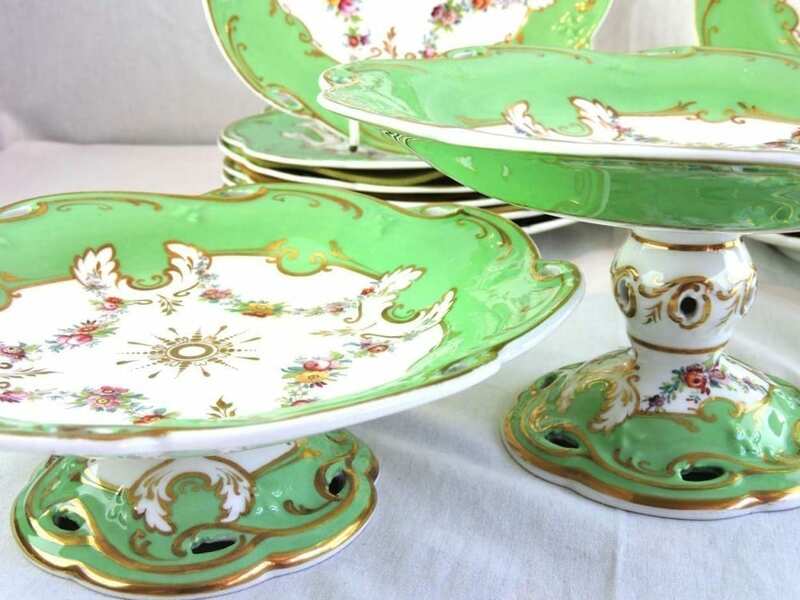 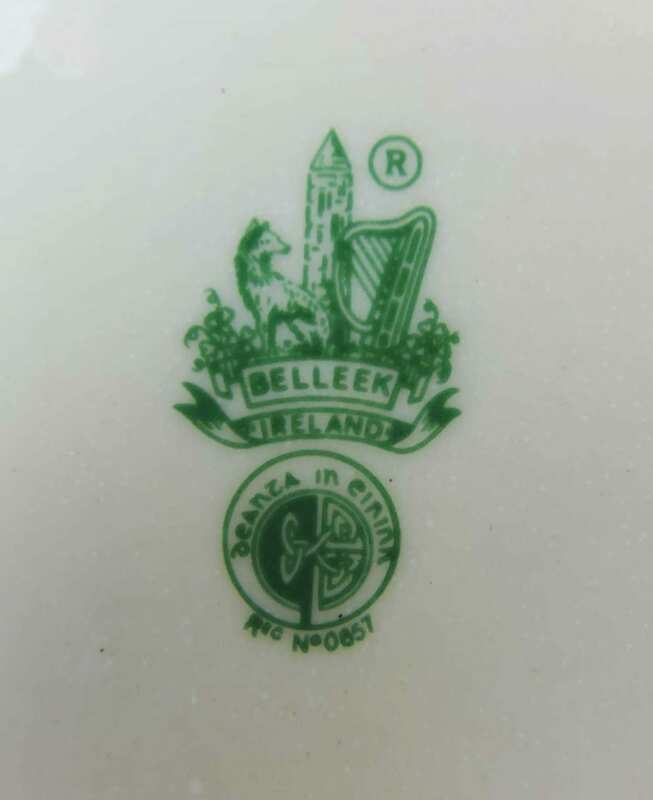 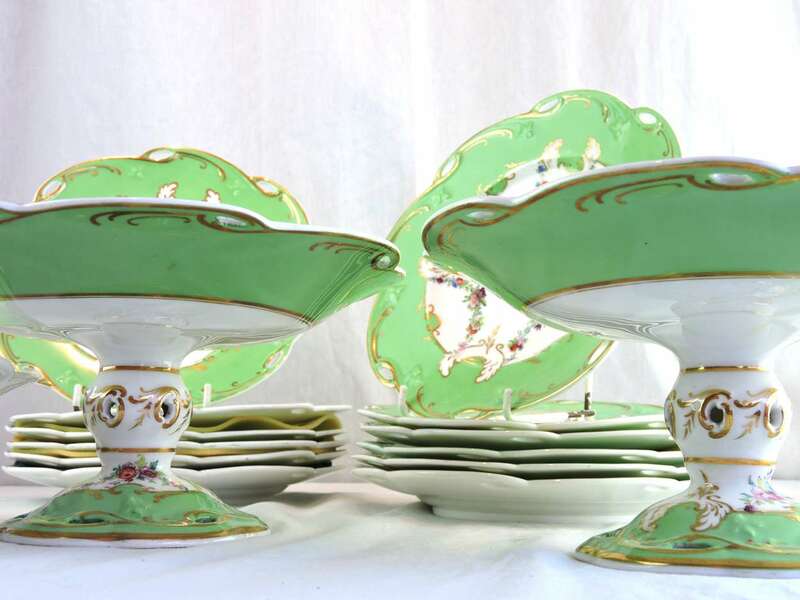 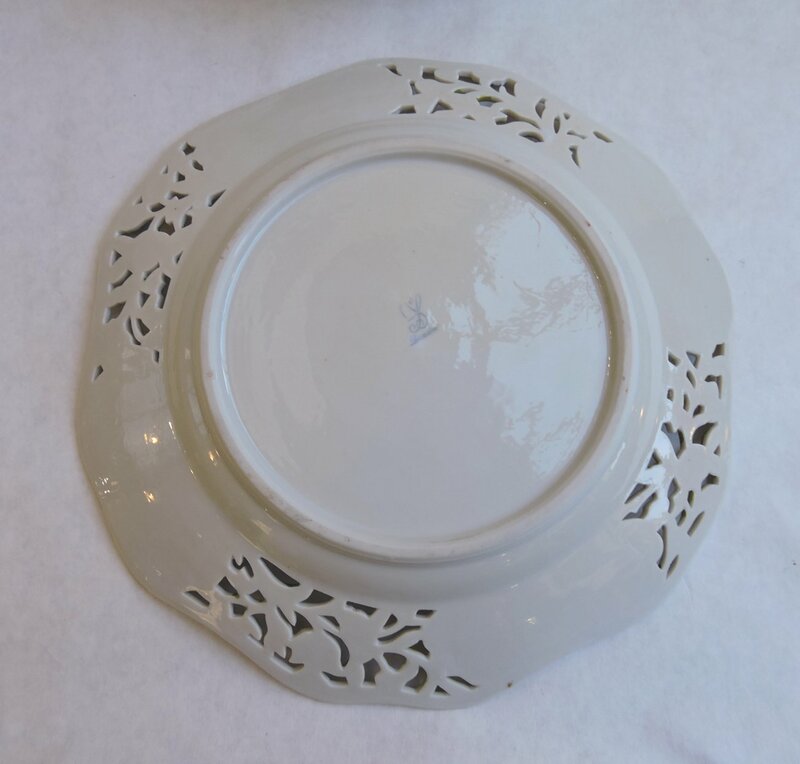 The rims of each plate are pierced. 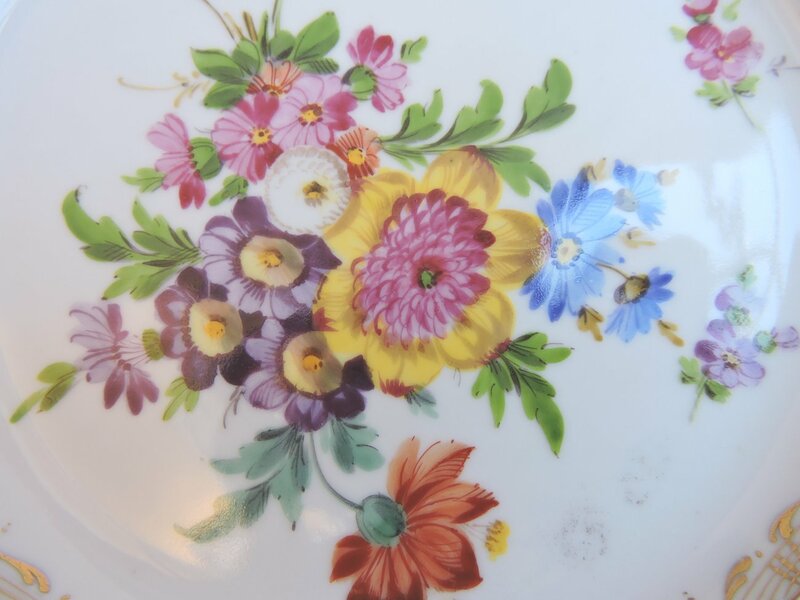 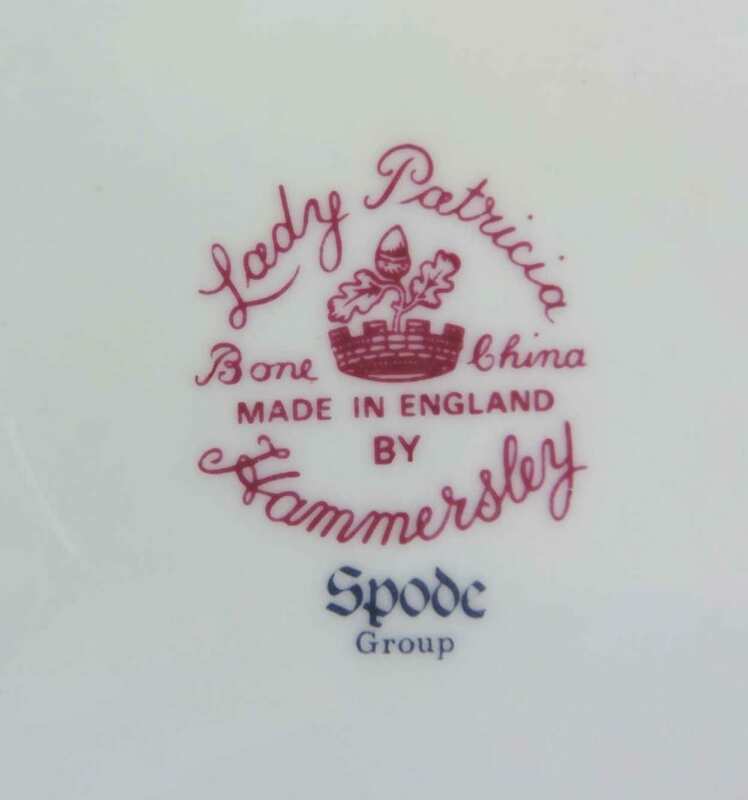 Each plate has a different hand painted floral centre. 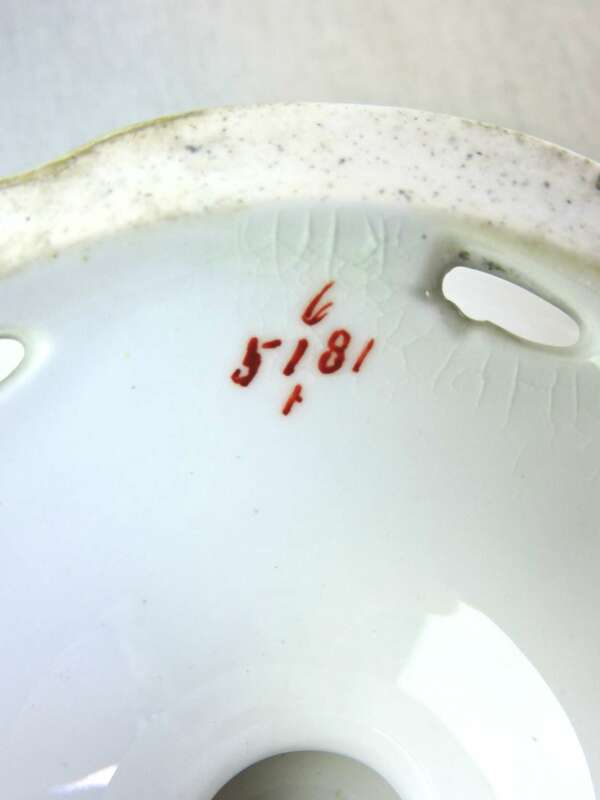 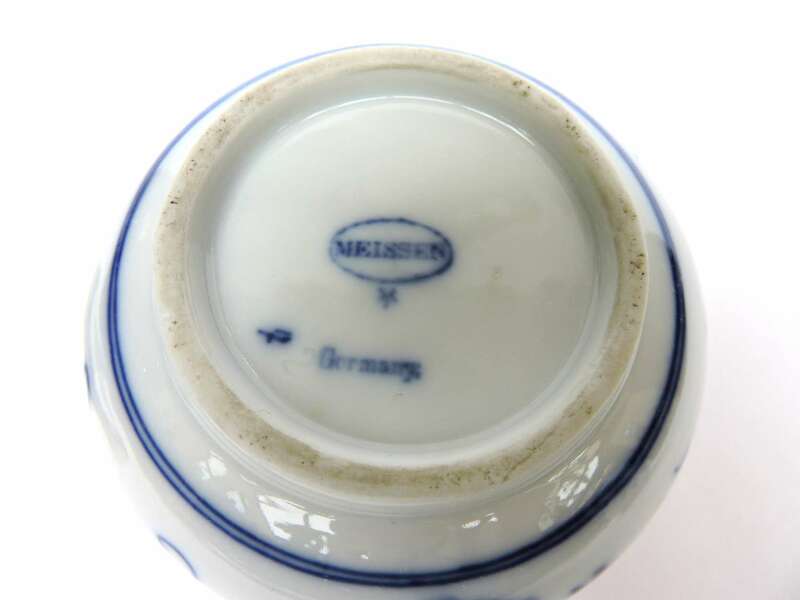 Marked TS mark on back for Sächsische Porzellanmanufaktur Dresden “Saxon Porcelain Manufactory” in Dresden, Germany. 8 plates available. 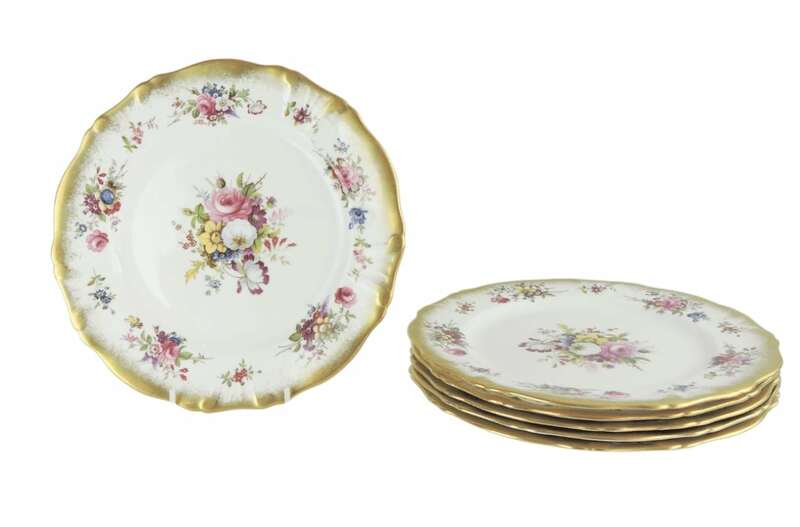 All plates sold separately. 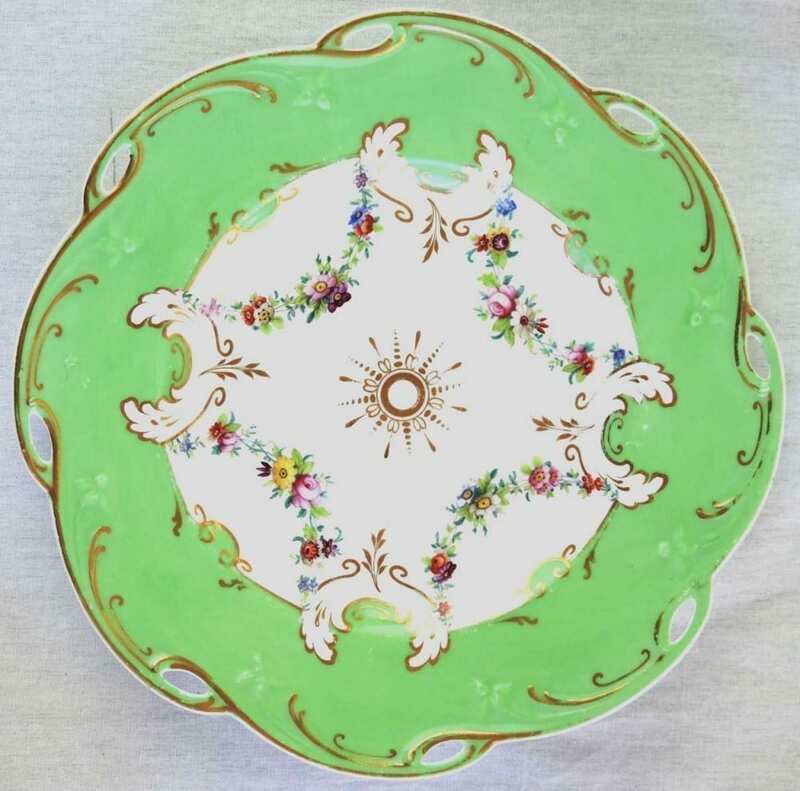 All in Excellent condition, no chips, cracks or repairs – all painting in beautiful condition. 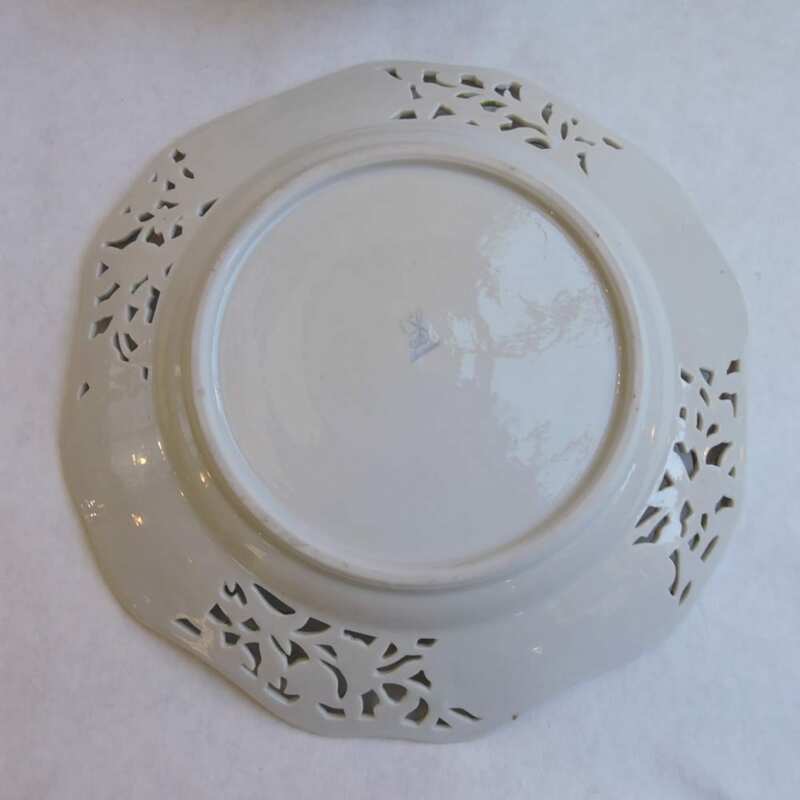 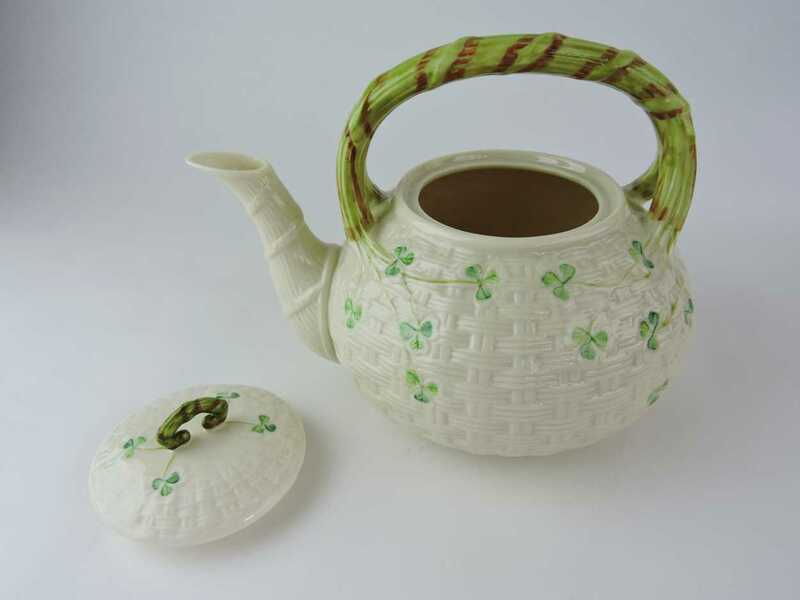 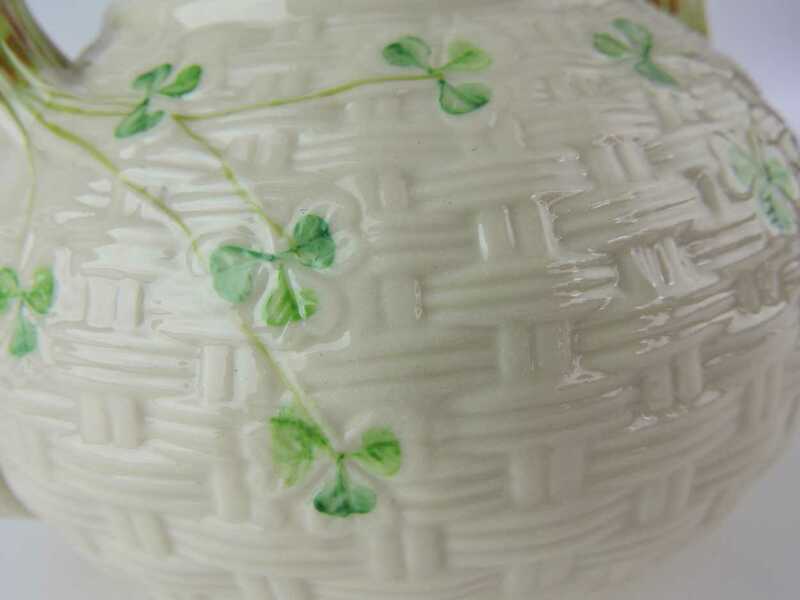 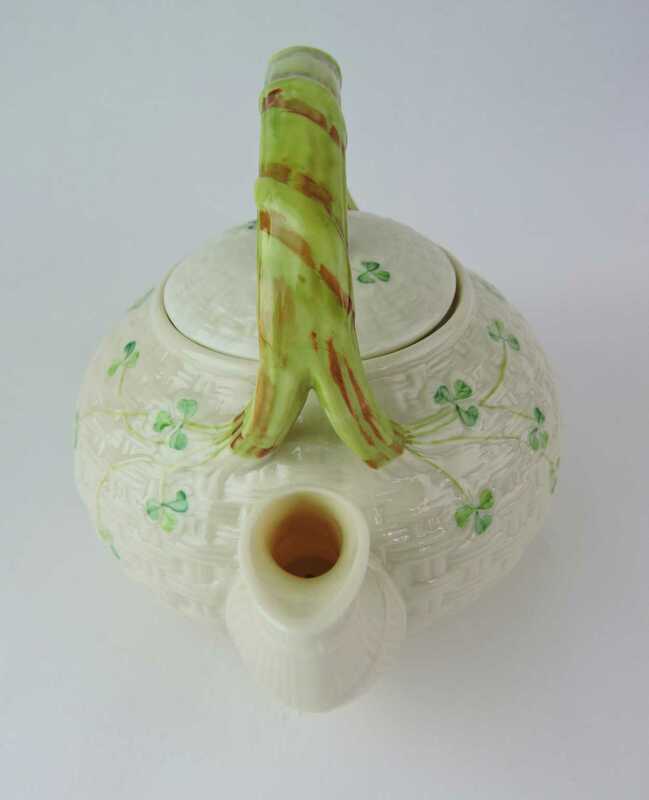 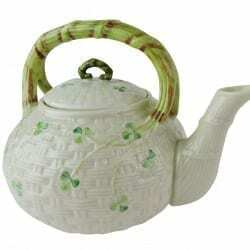 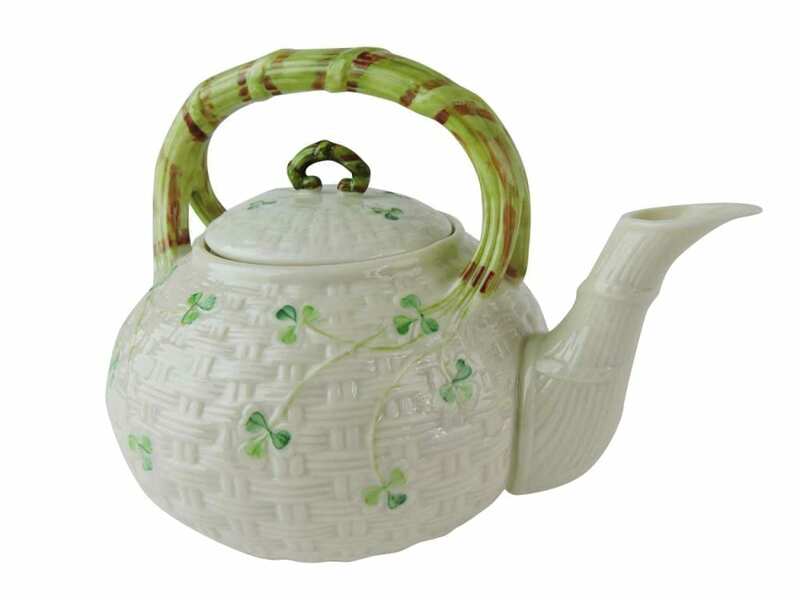 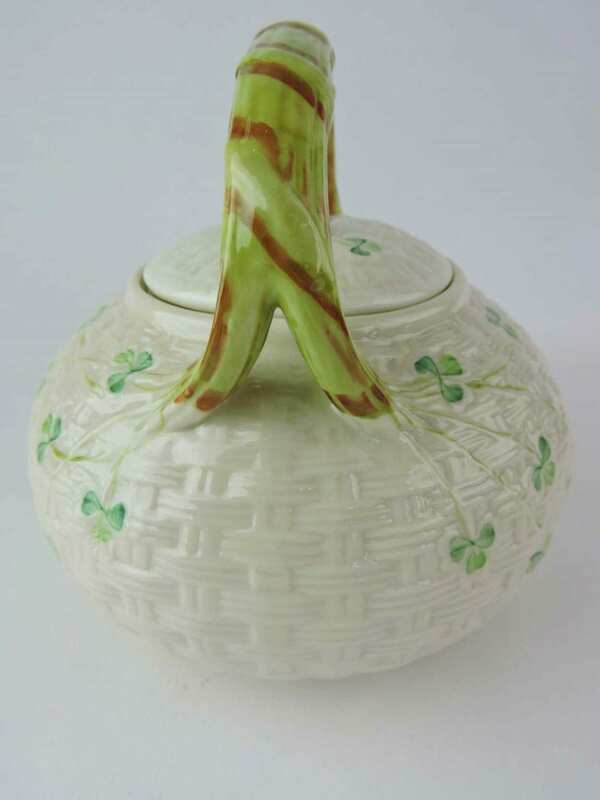 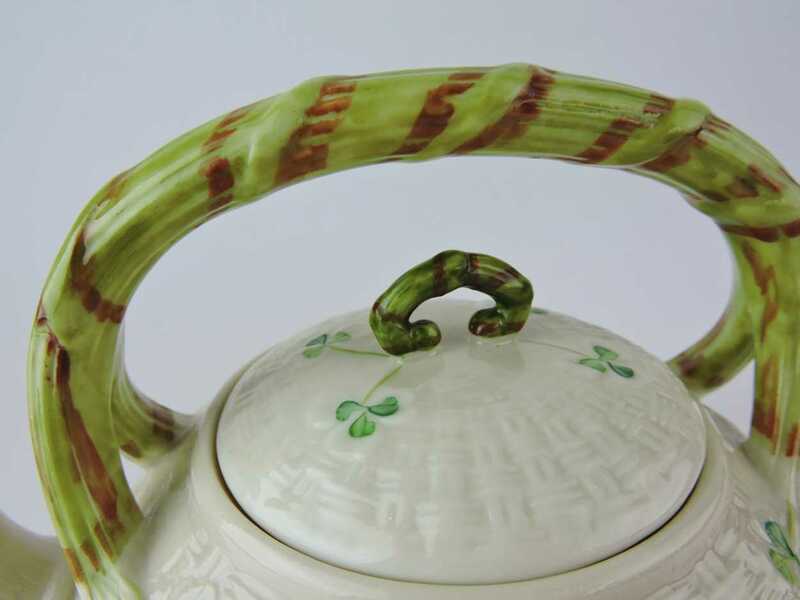 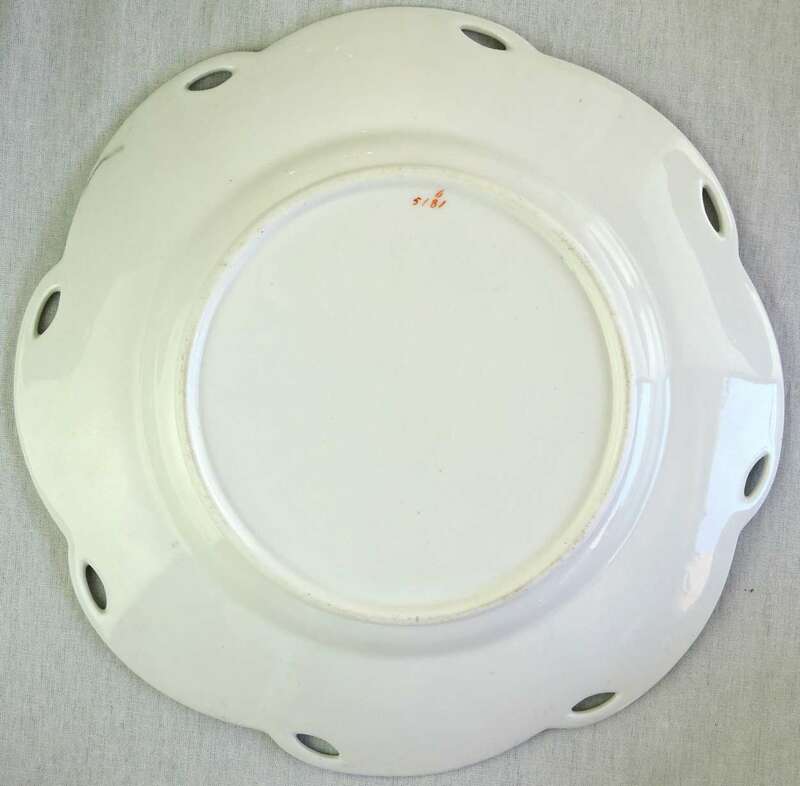 Product ID: 68923 Category: China Patterns. 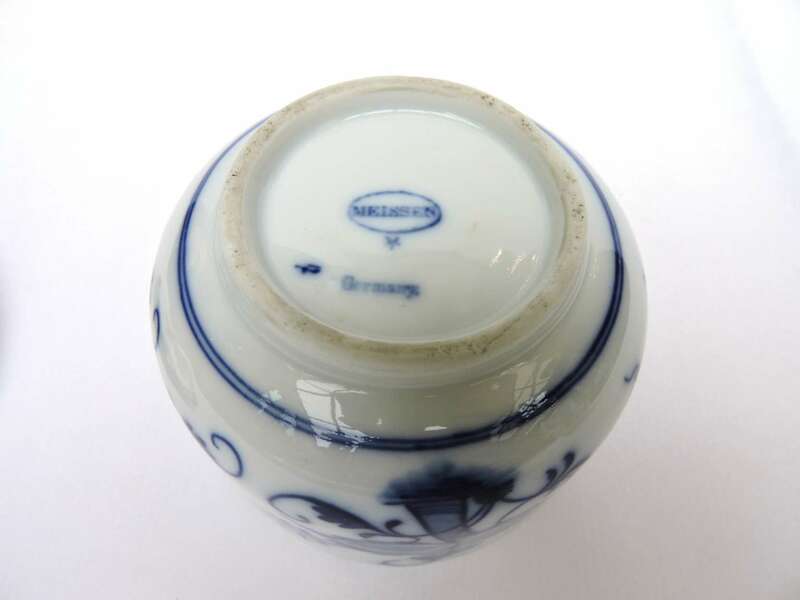 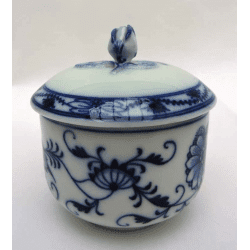 A large sugar box in a blue ‘onion’ pattern by Meissen. 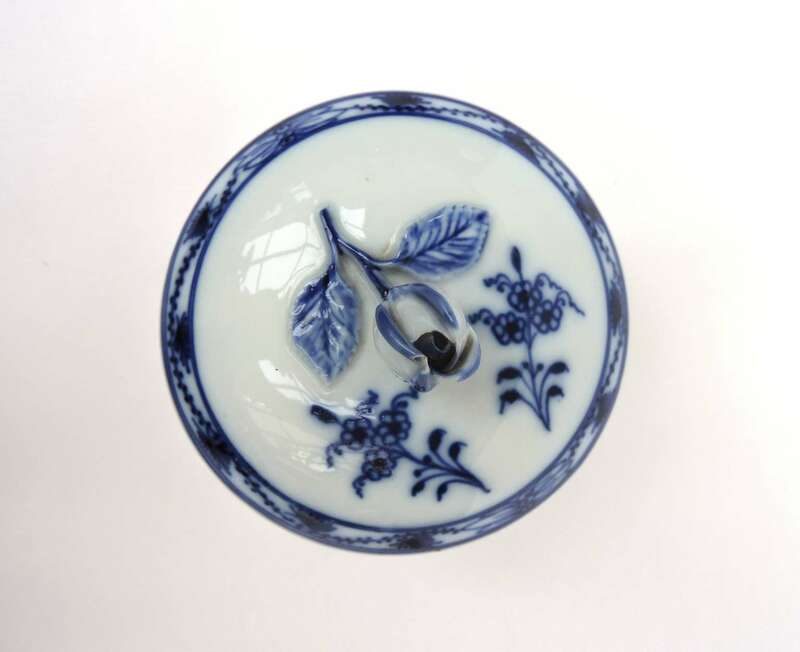 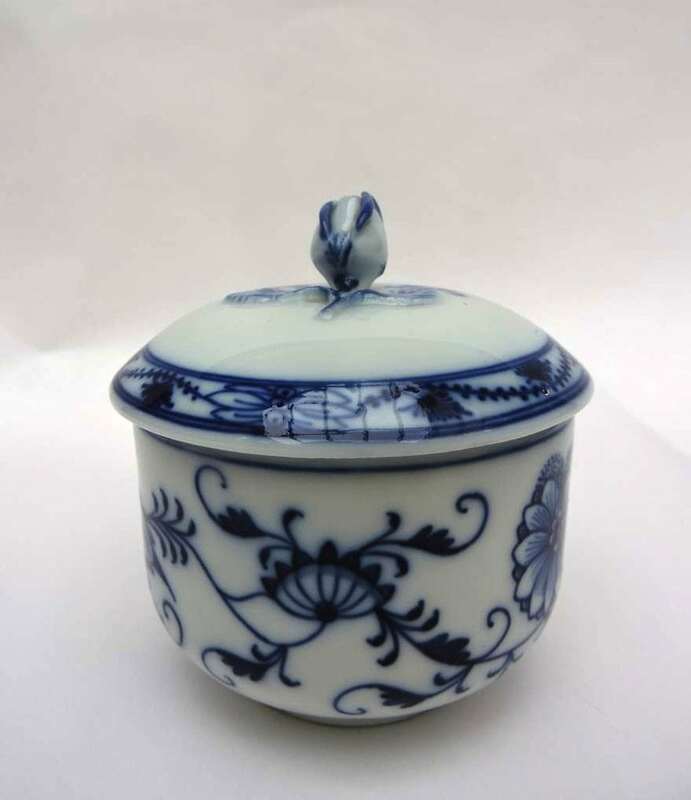 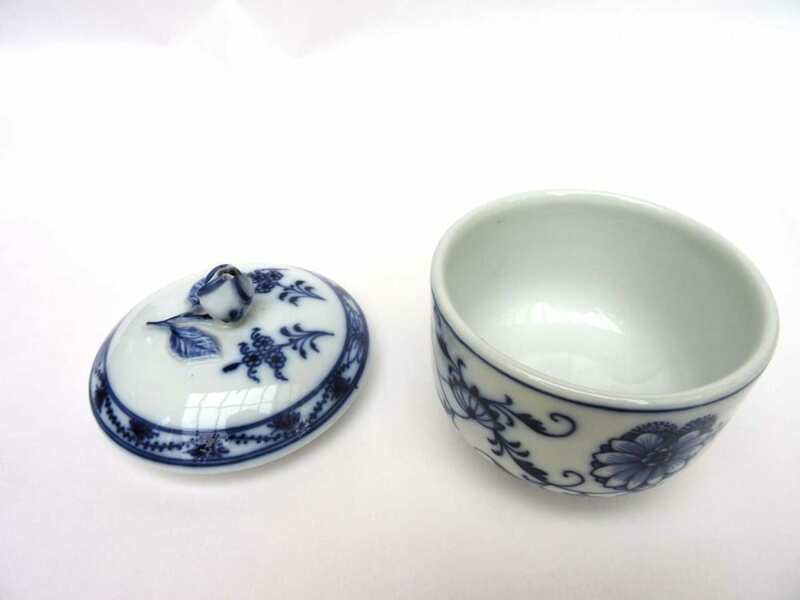 The sugar box is a beautiful blue on white porcelain combination. The ‘onion’ pattern in blue is a composition of floral, leaf and onion. 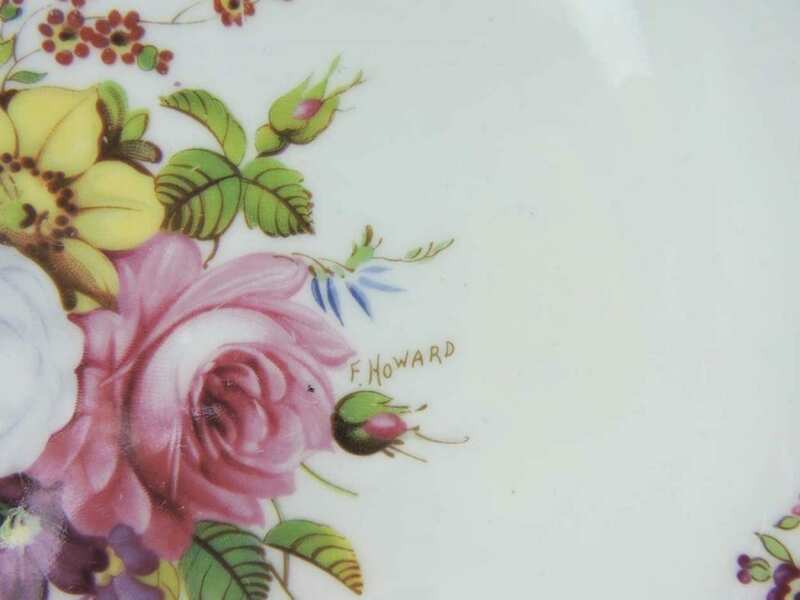 The lid has a unique rose bud in the centre, that is a easy to pick up with a nice decorative touch. A delightful sugar server that is easy to use for everyday at home, or entertaining guests.